Sam, a Macon, Georgia native, graduated from Mercer University with a B.A. in History in 1994 and from Mercer's Walter F. George School of Law in 1997. While in law school, Sam was a law clerk at the Bibb County District Attorney's Office where he tried and won his first case and handled numerous hearings under the Third Year Practice Act. Sam began his practice of law in 1997 with a primary focus in the areas of Personal Injury Law and Criminal Defense. Sam is a trial lawyer who relishes the opportunity to represent his clients in Court. Sam has handled serious felonies and misdemeanors (especially D.U.I. cases) for clients in many Georgia Courts. 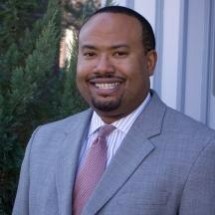 Sam also has handled hundreds of personal injury cases in Georgia Courts resulting in substantial settlement awards for his numerous clients. Besides the practice of law, Sam has always been active in the Macon/Bibb County community. He was the Chairman of the Macon Medical Center Children's Hospital Board of Directors, a member of the Board of Directors for the Macon Chamber of Commerce, a member of Mercer's Walter F. George School of Law Alumni Board and a 2000 graduate of Leadership Macon. In 2006, Sam was featured in Macon Magazine for his leadership in the Macon community as one of "Five Under Forty" young leaders. In addition, the Georgia Informer has named Sam as one of Macon's top attorneys. Sam is admitted to practice in the Georgia Court of Appeals, the Supreme Court of Georgia and the United States District Court for both the Middle and Northern Districts of Georgia. He is the proud father of a son, Bryce William Hart, and a daughter, Kadence Elizabeth Hart.